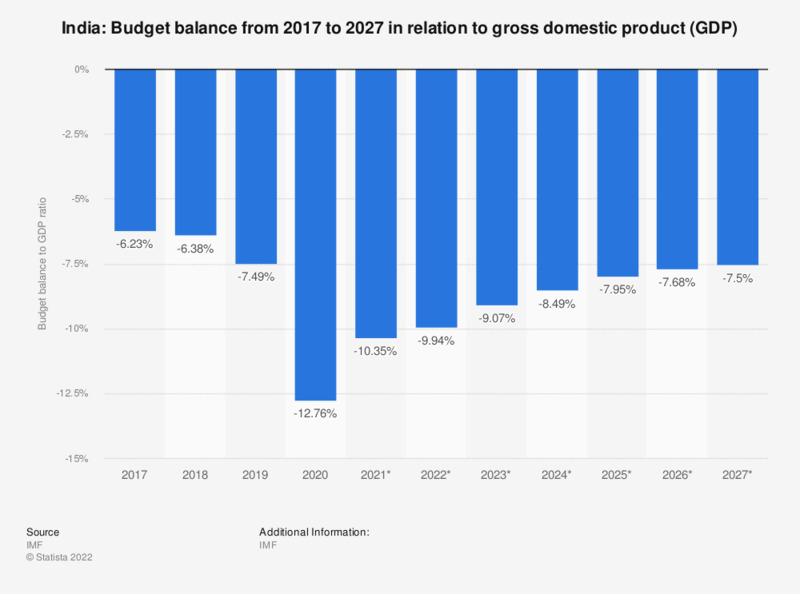 The statistic shows the budget balance in India from 2012 to 2018 in relation to the gross domestic product (GDP), with projections up until 2022. In 2018, the state deficit of India amounted to about 6.62 percent of gross domestic product. See GDP of India for additional information.